In 2011, while working as a software developer for a different company, Charles suffered a cerebral vascular attack (CVA). Despite suffering a stroke, after a period of recovery, Charles returned to work, but for a different employer. In 2014 Charles migraines increased and he began having significant problems with his short-term and long-term memory. He also found that he was having significant difficulty performing complex tasks and processing information, all essential requirements of his job. After visiting with his doctors and undergoing several objective tests including a brain MRI and neuropsychological testing his doctors advised Charles to stop working. Charles’ neuropsychological exam concluded that he indeed suffered from organic brain damage and had a markedly difficult time performing complex and detailed tasks, especially tasks which required visual integration and visual spatial organization. Reluctantly, Charles stopped working and submitted a disability claim to Aetna Life Insurance Company, his employer’s long-term disability insurer. After submitting his claim application and providing his medical records accompanied by Attending Physician Forms, Aetna approved Charles claim for disability on the basis of his stroke symptoms. Less than 2 years later and prior to the change in the definition of disability from “own occupation” to “any gainful occupation”, Aetna referred the claim for a medical review and an independent medical examination. The neurologist selected by Aetna to conduct the Independent Medical Examination (IME) examined Charles for 30 minutes and determined that he was not disabled from his own occupation as a software developer. Based on the decision by the IME and the Aetna’s own medical consultant, it terminated Charles’ benefits and closed his claim. After receiving the letter from Aetna informing him that his claim had been terminated on the basis of the review conducted by its medical consultant and IME physician, Charles hired Attorney Cesar Gavidia and his Appeal team to address Aetna’s denial of benefits. As part of the Appeal, a neuropsychological examination of Charles was conducted, which confirmed and matched the findings from the 2014 neuropsychological report, which was the basis on which Aetna had approved Charles’ disability claim initially. Charles’ medical records, as well as the new neuropsychological report were submitted with his Appeal to Aetna. Approximately a month later Aetna informed Charles that it was upholding its decision to deny his claim. After exhausting all of his administrative appeals with Aetna, Attorney Gavidia filed a lawsuit against Aetna in federal court in Broward County, Florida, Aetna’s center of operation for group long-term disability insurance claims. The lawsuit alleged that Aetna had violated ERISA by arbitrarily terminating Charles’ long-term disability claim, and not only sought recovery of all benefits owed, but also attorney fees. Aetna and Charles were ordered by the Court to attend mandatory mediation where both parties, with their attorneys, were required to attempt to resolve the matter. After several hours the parties reached a confidential settlement. 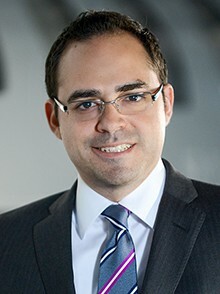 If you believe that your disability insurer may be preparing to begin a review due to a change in your occupational definition of disability, or if you have any questions regarding your long-term disability insurance claim, please feel free to contact Attorney Cesar Gavidia for a free consultation to discuss your options.